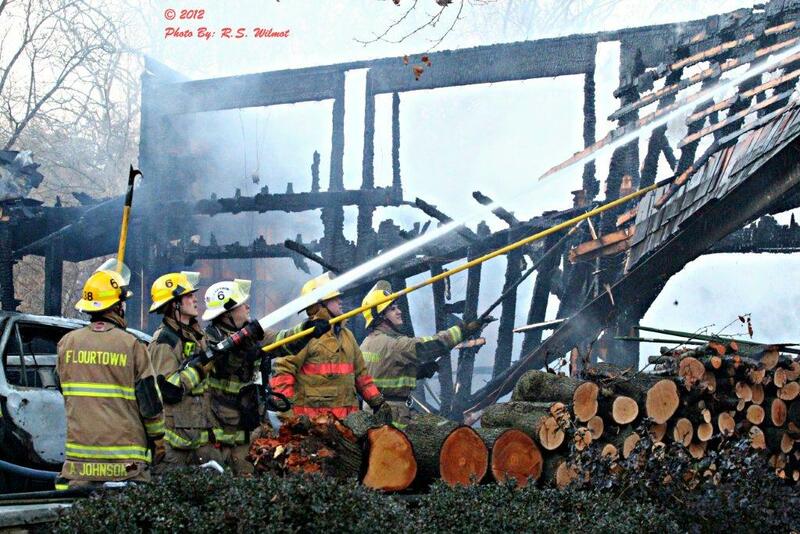 A little after 7AM on Tuesday, February 26, Flourtown Fire Company was dispatched along with Wyndmoor Hose Company, Oreland Fire Company and two battalion units from Philadelphia Fire Department to a house on the corner of E. Gravers Lane and Stenton Avenue that a passerby saw smoke coming from the building. 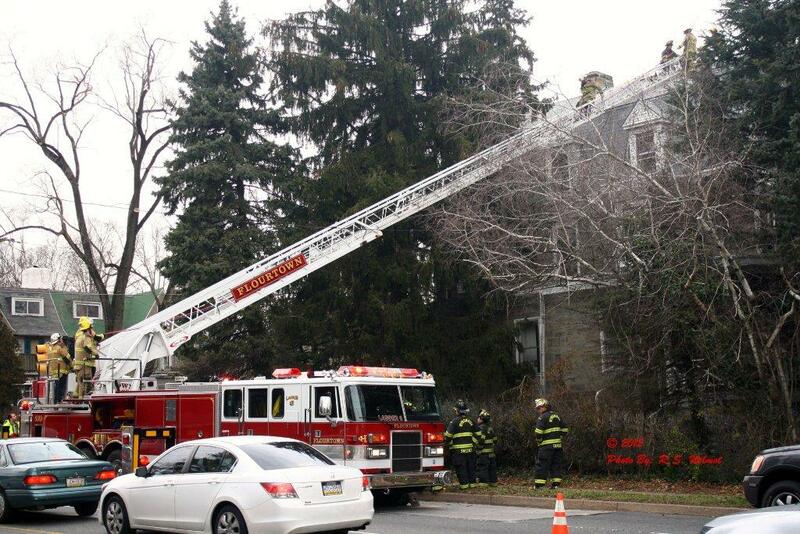 When the first units arrived on scene they found heavy smoke pumping out of the first floor of a three story house. 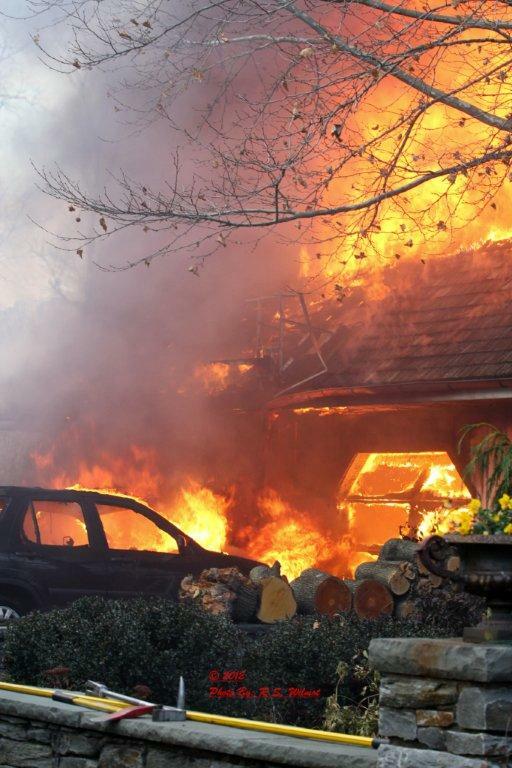 Flames soon showed from the windows and other areas of the home as they spread to the second and third floors, and neighboring trees. 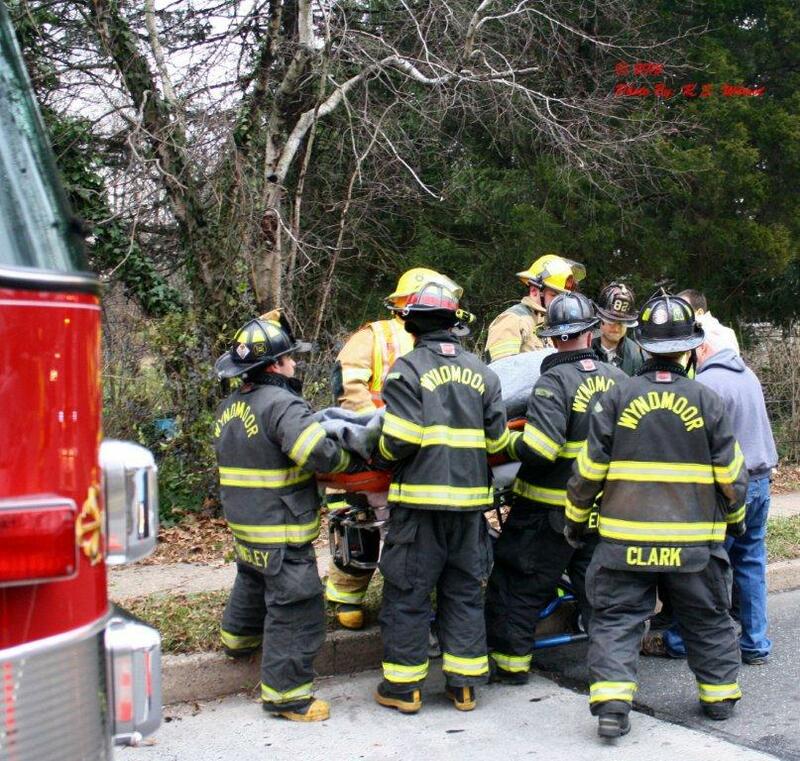 Units from Barren Hill, Glenside, Edge Hill and Springfield Ambulance also responded, as well as Springfield Township Public Works which helped with traffic control signage on Stenton and barricading other surrounding streets. 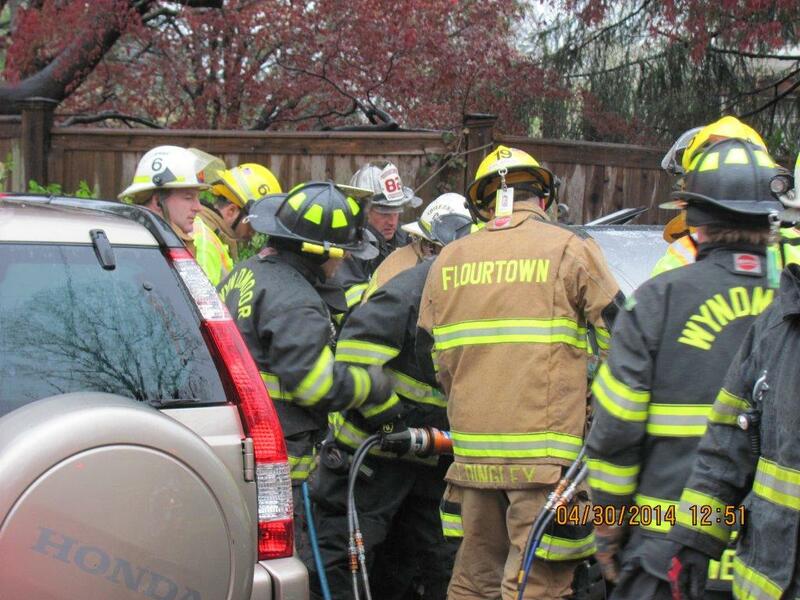 The stubborn fire was deemed under control about an hour later and units started overhaul. 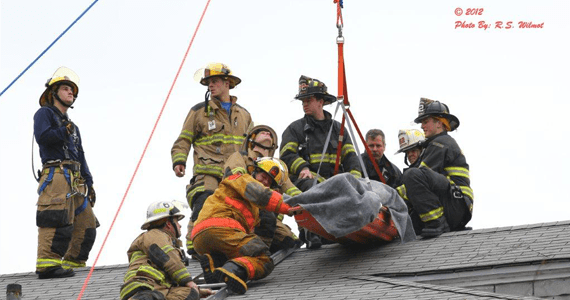 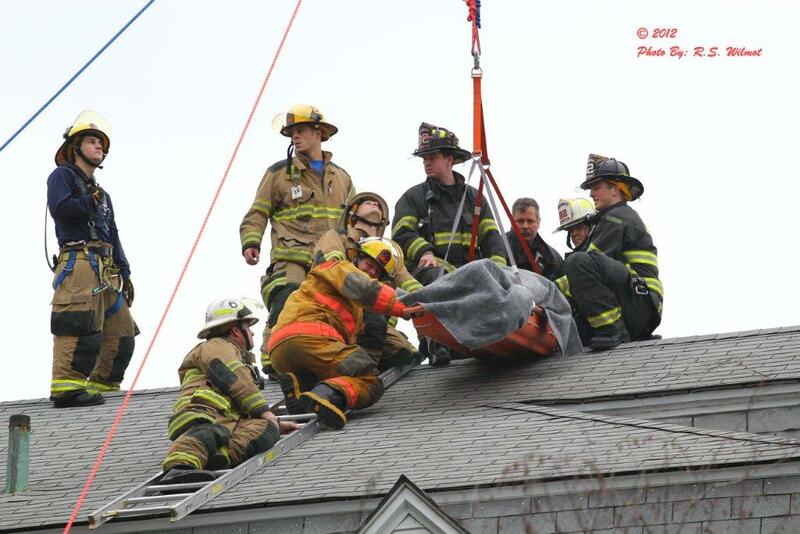 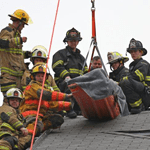 On Monday, December 24, Flourtown Fire Company and Wyndmoor Hose Co. responded to a call of a man injured on a fourth story rooftop along Stenton Avenue. 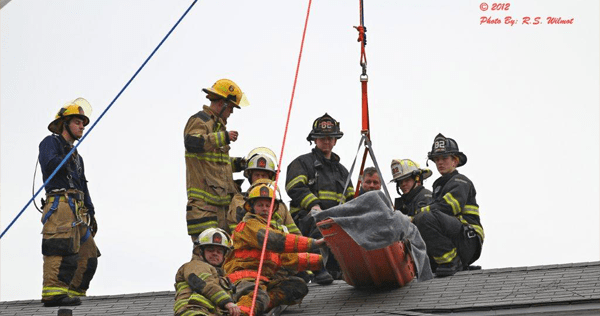 Conscious and complaining of pain in his hip, the gentleman who had climbed out on the roof through an attic access could not return in the same way. 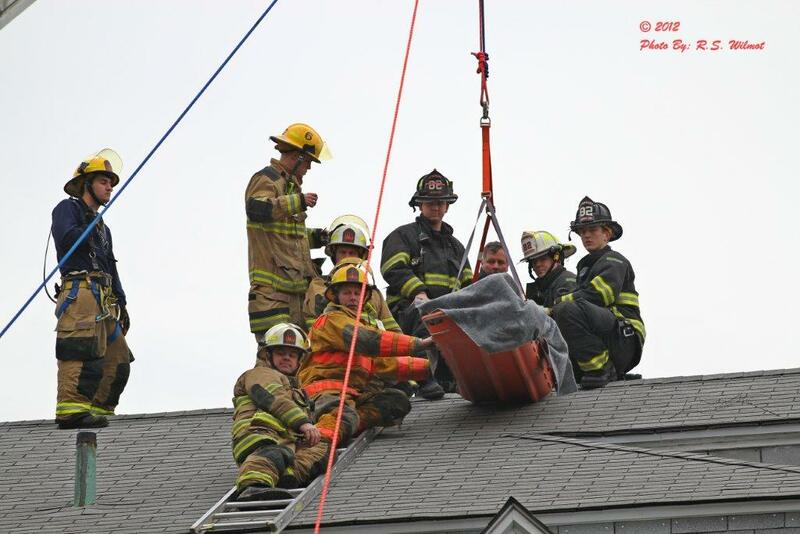 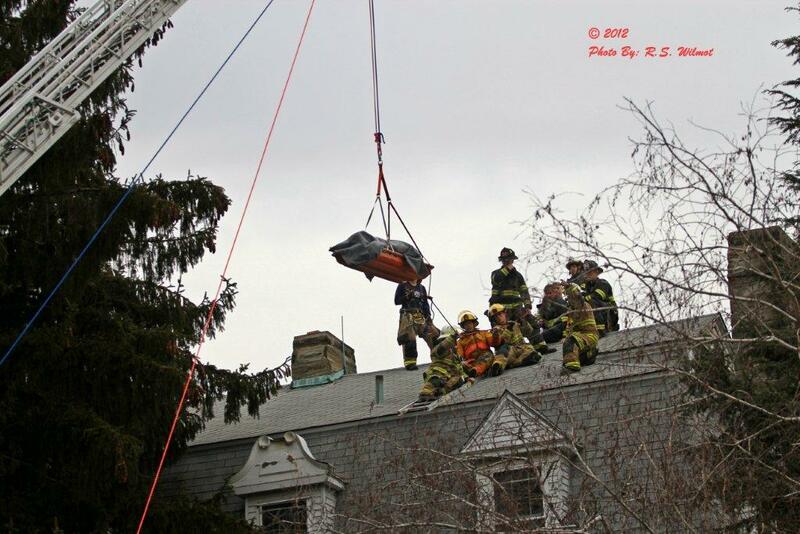 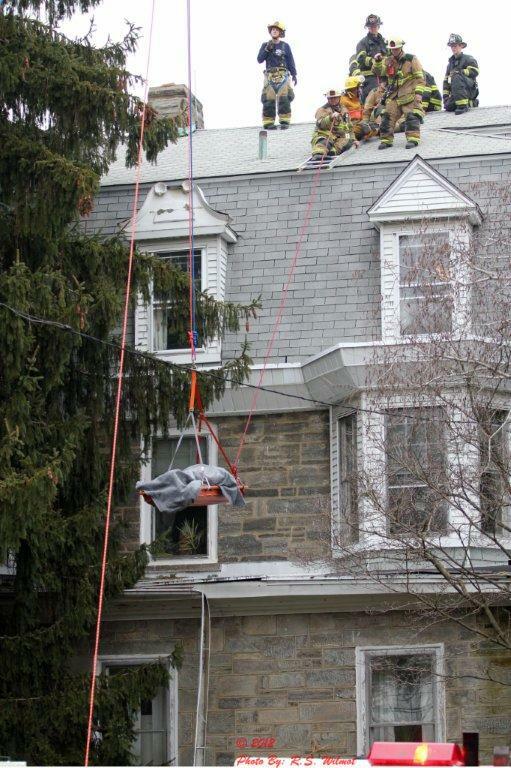 Rescuers from Wyndmoor and Flourtown devised a rescue system using the 100 foot aerial of Flourtown as a crane, along with a stokes basket and rope rigging to lower the patient to street level and the ambulance. 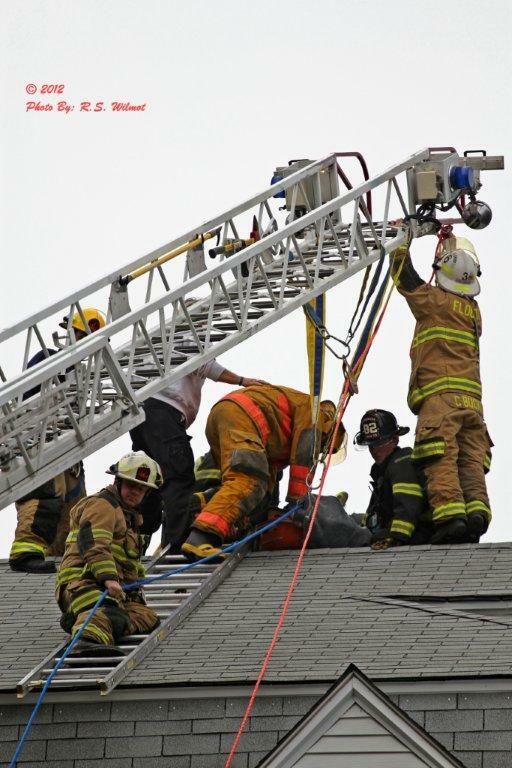 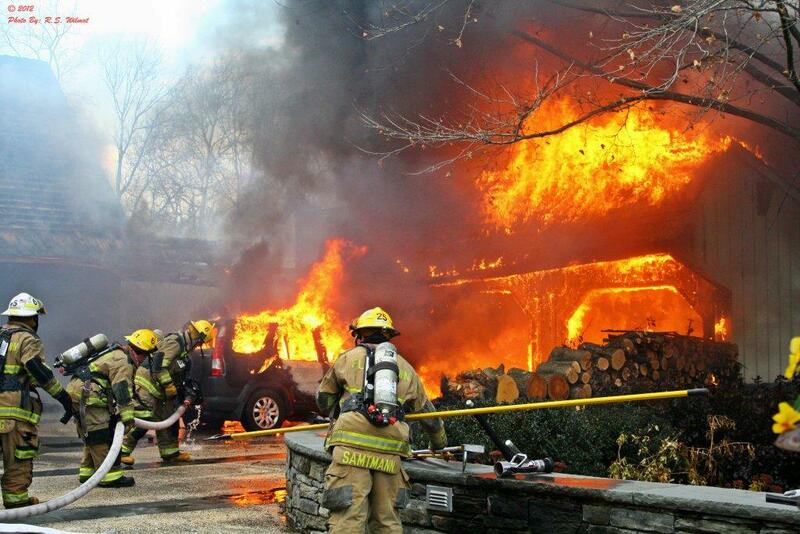 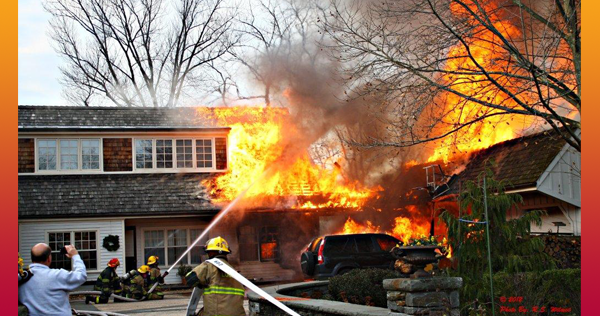 At approximately 3 PM on November 25, 2012, Flourtown Fire Company was dispatched along with Barren Hill Fire Company to a fire that began in the garage on the 300 block of Stenton Avenue and spread to the roof of the residence on the Sunday afternoon. 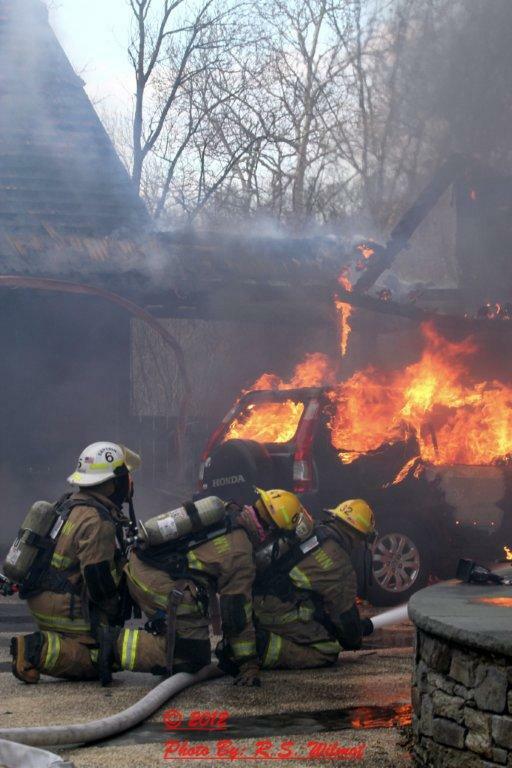 Upon arrival the fire was immediately escalated and companies from Wyndmoor, Spring Mill, Centre Square, Harmonville, Glenside and several other were dispatched for additional resources. 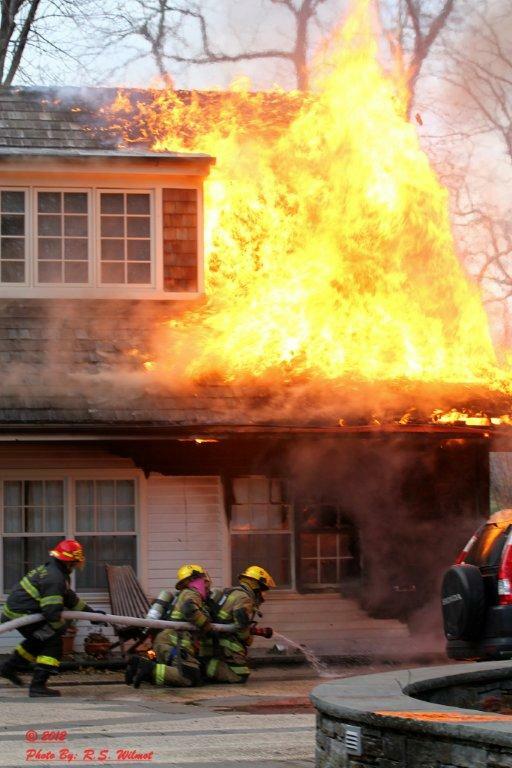 Engine 6 arrived at the home and went into service with 2.5 inch hose line and additional hose lines once a water source was established. 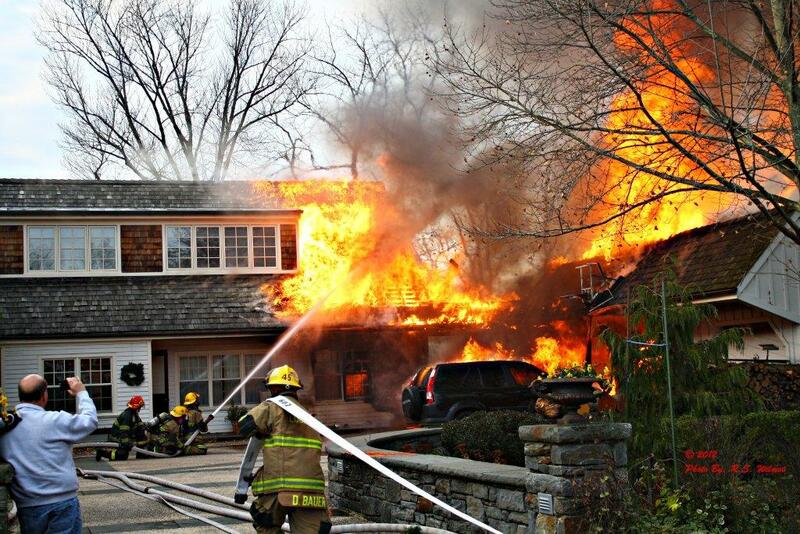 Addition units checked for extension into the home and other areas of the property. 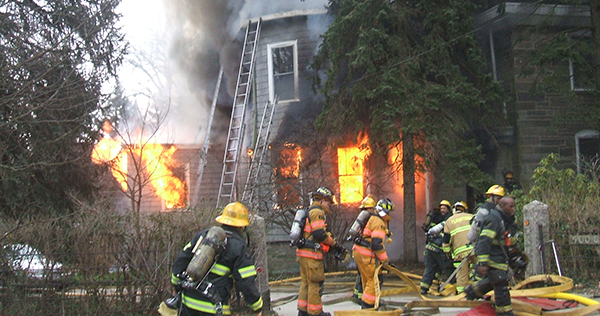 The cedar shingle roof added to the fire load and the three car garage and its contents were a loss, but the fire was halted from extending further into the home. 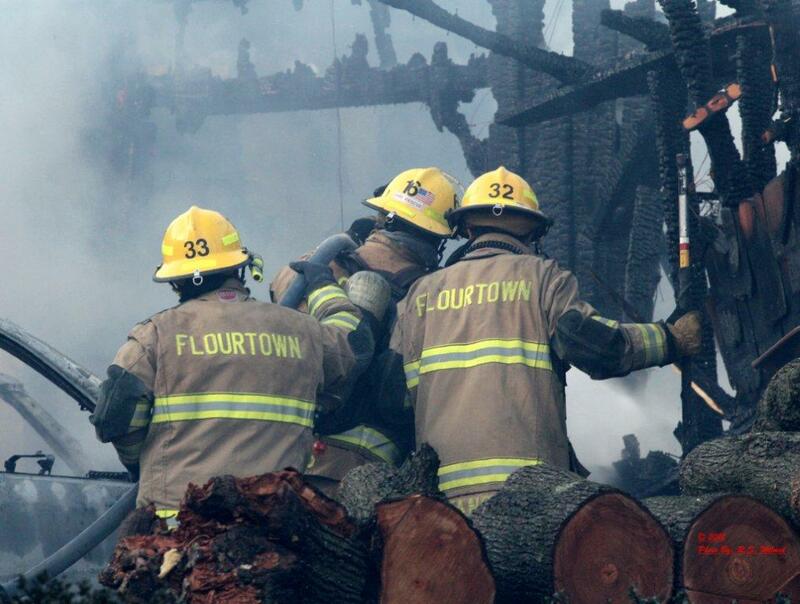 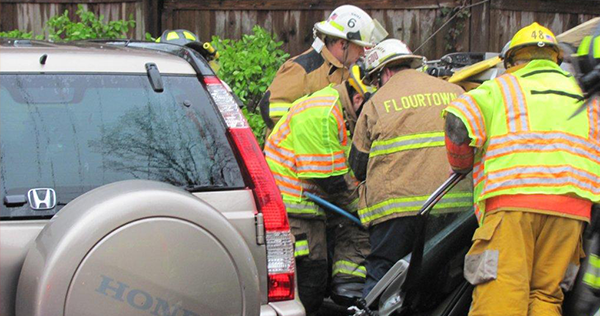 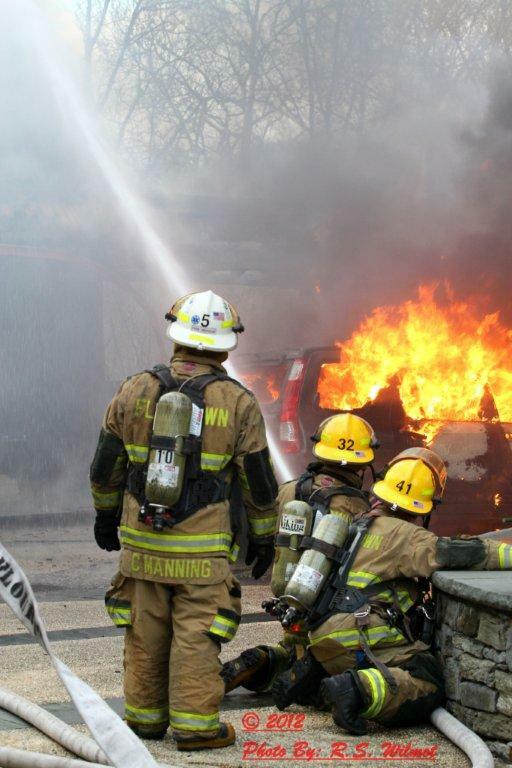 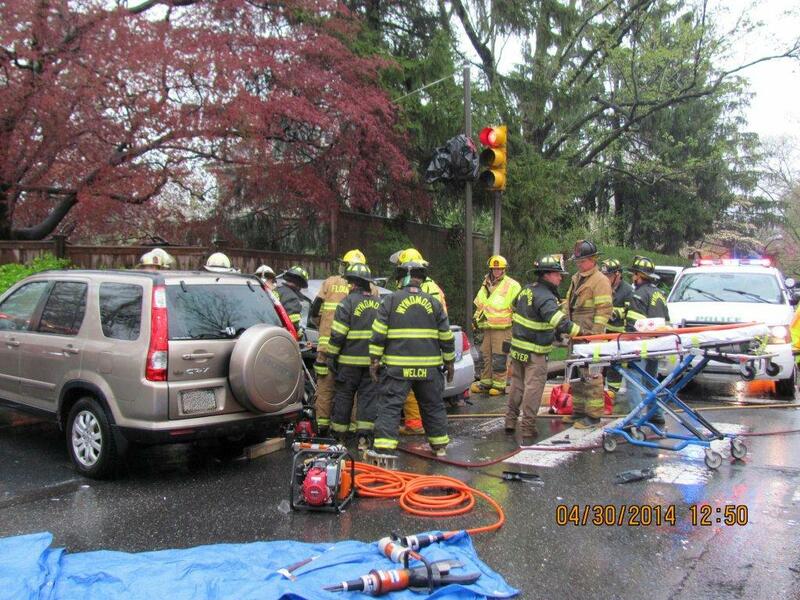 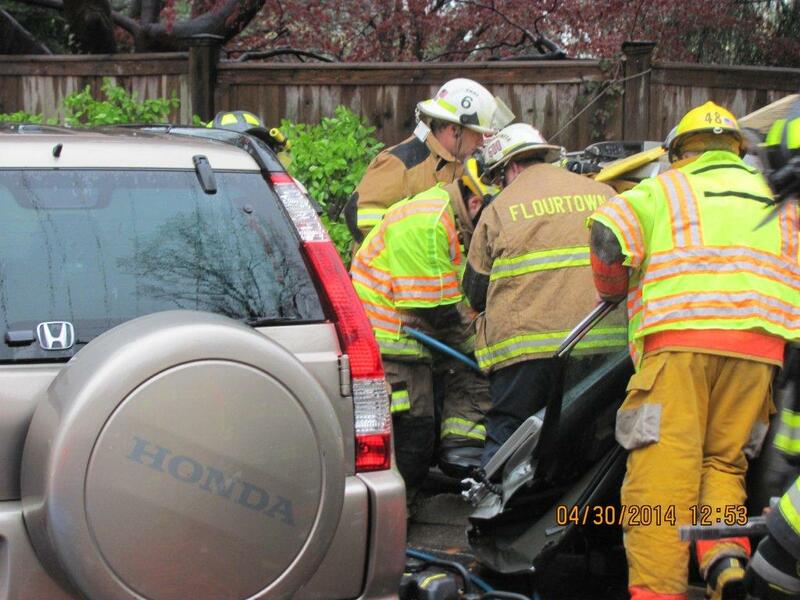 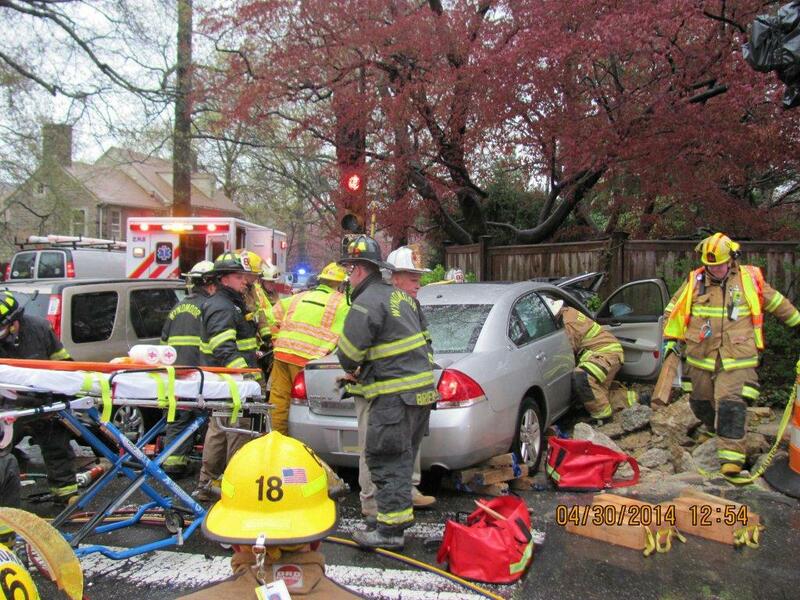 Photos supplied here by Flourtown Fire Company photographer, Robert Wilmot, Jr.